Today, November Eleventh is Veterans Day, and over the years, I've written about this solemn holiday in a number of entries here on Blogger as well as in a couple of entries on tumblr. The image atop this entry features some of my patriotic figurines paying homage to this day with a small celebration in my succulent garden. 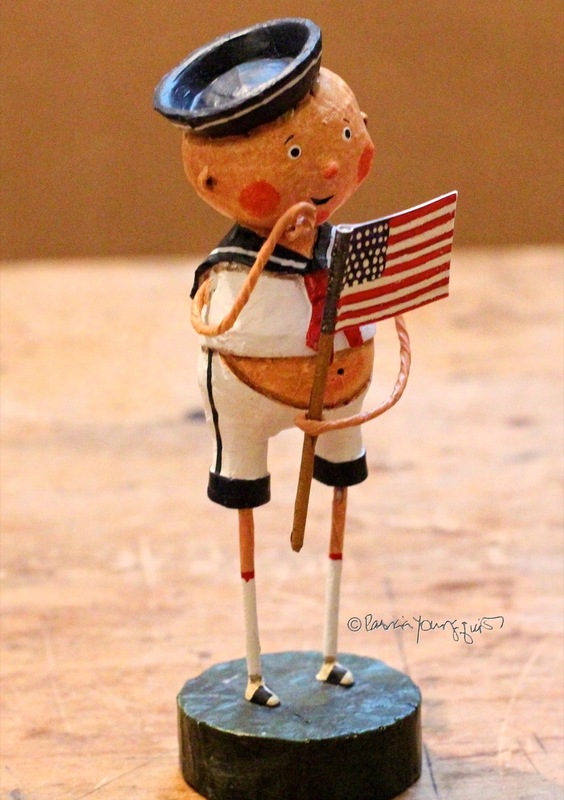 These figurines are also sharing their knowedge re some "fun facts" related to this day such as the year 1954 is when "President Eisenhower officially changed the name of the holiday from Armistice Day to Veterans Day." And I've learned that "in 1968, the Uniform Holidays Bill was passed by Congress, which moved the celebration of Veterans Day to the fourth Monday in October. The law went into effect in 1971, but in 1975 President Ford returned Veterans Day to November 11, due to the important historical significance of the date." Moreover, I've learned from them that "Britain, France, Australia and Canada also commemorate the veterans of World Wars I and II on or near November 11th: Canada has Remembrance Day, while Britain has Remembrance Sunday (the second Sunday of November). In Europe, Britain and the Commonwealth countries it is common to observe two minutes of silence at 11 a.m. every November 11." that NAVY LIVE, the official blog of the United States navy is an informative and interesting resource re many topics, including Veterans Day, which might be a good time for you to check it out, dear reader! 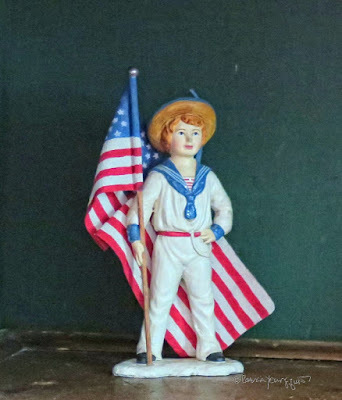 Btw, dear reader, all the figurines seen in this entry, are from More & More Antiques. This is a fantastic shop on the UWS in NYC whose its sole proprietor, Steve Mohr, has decided to carry my fauna-flora-insect-themed postcards, which I mentioned in yesterday's post.